This evening I was making my dinner with the idea that the leftovers would suit for my lunch tomorrow. It was so delicious that unfortunately I didn’t have any leftover at all. Ooops! But, the good thing was I got to have loads of the nice food. 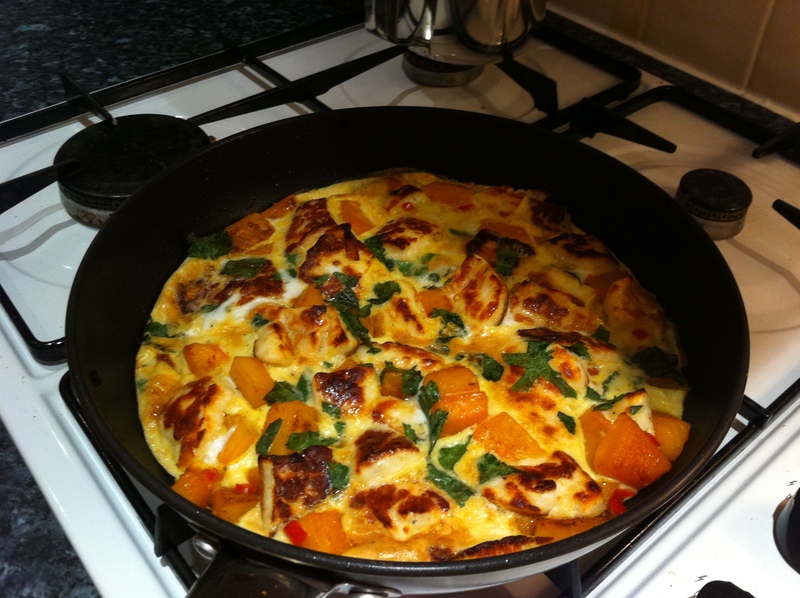 Tonight’s meal was squash, halloumi and chilli frittata. The recipe calls it an omelette, and although I don’t know the difference between an omelette and frittata, I’ve got a feeling this was more frittata like. And the recipe also says pumpkin, but I used butternut squash. I’m sure there is no huge difference between the two. This entry was posted in Main dish, Vegetarian and tagged cheese, eggs, GoodFood, halloumi, pumpkin, squash. Bookmark the permalink.